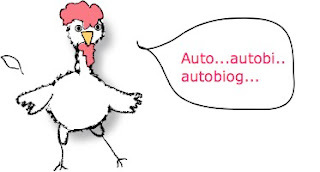 Auto...what? Autobiogastrips are what book character Addy McMahon calls her diary in comic book format. Maybe you know some young people (or chickens?) who might like to express themselves this way? Addy's creator, and US author of The Curse of Addy McMahon, Katie Davis, has worked out a cool way to encourage kids to share her own obvious love of writing and creating. She provides templates, artwork, and great tips to encourage kids to write their own autobiogastrips. 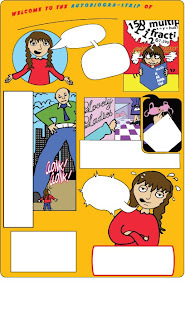 Kids are free to download the art and templates provided they only use them at home or school. I love Katie's video on helping kids learn to see so they can draw even better. I also love the variety of templates - not your standard three boxes, but funky, attractive, and bursting with zing! 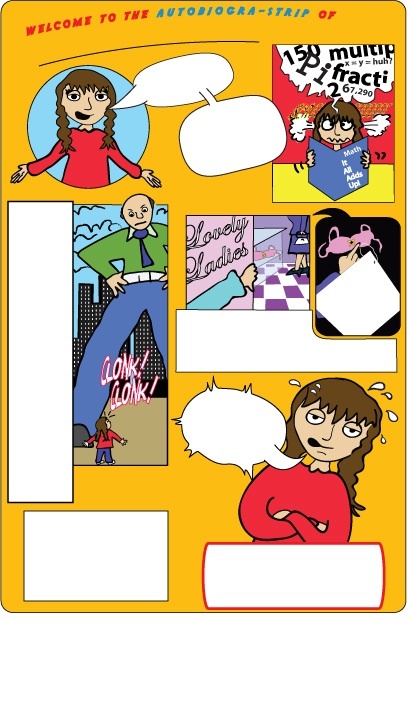 Here's a sample template below, and you can see Katie's artwork above. Katie has some cute literacy-based worksheets on her main website, too, so be sure to check it out. Hint: look under Kids! If you're interested in creating stories online with your kids, you'll find some more suggestions in my post: Sharing Stories Using Online Editors. I am sure my daughter will like this ComicAutoBio-diary idea. Thank you for visiting my blog. One Zen Room is a great idea. Accepting the rest to look like an earthquake is also very Zen :-) Thanks for being my Zen-Master! The good news is that I found The Little Grammar People in Australia. The bad news is that it is very very expensive. Yes...no...yes..no.. Cute! I can think of several little chickens who will love it! Yeah! Yeah! Yeah! I thought they were the coolest thing when I read Addy McMahon ... I am so glad we get to make our own now. "Zen-Master" has made my day, Paula! It's a wonderful way to extend the reading experience for kids, isn't it, Terry.